Based on the true story of bank robber and prison escape artist Forrest Tucker (not to be confused with the actor of the same name), this is rumored to be Robert Redford's acting swan song. Hope not. The Brits like to call their older, accomplished actors and other creative types "National Treasures." Tracey Ullman does a very funny send up of that notion on her comedy show where she plays "National Treasure" Judy Dench who manages to get away with murder because she is, well, a "National Treasure." We Americans don't tend to offer that honor to our actors but if we did, Robert Redford would be at the top of the list. From handsome leading man ("Barefoot in the Park") to iconic roles in "Butch Cassidy and the Sundance Kid," "All the President's Men," "The Great Gatsby," "The Natural," a Best Director Oscar for "Ordinary People" and another 39 awards and 48 other nominations - I could go on and on - Robert Redford has had an acting career that has spanned over 60 years. Never a flashy actor, but his natural style has served him well in over 40 films and countless TV shows and this film is no exception. At 82 he is still going strong. So I hope the rumor that this is his last film is not true. But if it is, it is a fitting ending. Written and directed by David Lowery, the film is based on the life of Forrest Silva Tucker, a lifelong robber who was caught and locked up many times but also managed to escape many times - 18 times, in fact, most famously from San Quentin at the age of 70. A montage shows the escapes and makes use of some old Redford film footage, reminding us of just how handsome that young Robert Redford was! But this isn't just a heist story. This is a story about purpose and meaning in life, even if that purpose and meaning is robbing banks. Tucker had a gift for robbing banks. He was a gentleman robber, if there is such a thing, and enjoyed his work. Everyone he robbed always remembered him smiling even when he was caught. This is also the story of John Hunt (Casey Affleck), a police detective who, unlike Tucker, wasn't enjoying his job very much... until he found his purpose - finding and arresting Forrest Tucker. But this is Redford's movie. Everything we remember about him as an actor is in evidence. He is still handsome, he is still cocky, he exudes an easy naturalness and an almost bemused persona in his characterization. Perfect. Shocking that Redford has never won a Best Actor Oscar but maybe it's because he makes it seem too easy, but maybe he will for this. He is an actor at the top of his game. Casey Affleck is also perfect for the part of Hunt because Hunt is a bit of a sad sack and I kind of think of Affleck as a sad sack. I mean, have you ever seen that kid smile? Sissy Spacek plays Tucker's love interest - she's another actor whose gifts are apparent here - and seeing those two together - Spacek and Redford - I couldn't help but think that both of these actors are at the top of their game. And I also couldn't help but say in my mind, Thank you...you both let yourselves age naturally. No plastic surgery. And they both still look great. So people. Look and learn. It's called PLASTIC surgery for a reason because you might look young but when you have your face rearranged, you look PLASTIC! Anyway, Elisabeth Moss makes a cameo appearance in a small but effective role and Danny Glover and Tom Waits are Tucker's old man accomplices in his "Over the Hill Gang," as they came to be known. Rosy the Reviewer says...so this is the story of a career bank robber who really enjoyed his job, but it's also a reminder that no matter how old we get we need meaning in life - even if it's robbing banks. And it's also a reminder that Robert Redford is a National Treasure. Maybe he will finally get a Best Actor Oscar. It's not enough that the drug cartels smuggle drugs. Now they are in the business of smuggling people! A sort of sequel to the first film ("Sicario"), but not really. No Emily Blunt, no Denis Villaneuve as director, no Roger Deakins for the cinematography or Johann Johannsson for the score (Deakins and Johannsson were nominated for Oscars in the first one), but the screenplay is again by Taylor Sheridan, who was also responsible for "Wind River" and "Hell or High Water," and Benicio Del Toro reprises his role as the enigmatic and badass Alejandro and Josh Brolin brings back his pumped-up body and permanent grimace to the role of Matt Graver, a federal agent. 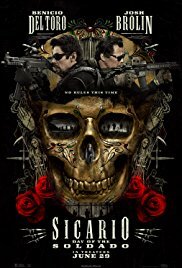 According to this film, the U.S.- Mexico border is controlled by the Mexican drug cartels and they are not just smuggling drugs. Every year thousands of people are smuggled over the border for profit, because there is more money to be made smuggling people than drugs. Graver has been called upon to stop the cartels. U.S. government officials believe that terrorists are also being smuggled across the border and Graver teams up with Alejandro to try and stop them. Graver is enlisted to use the same techniques he used in the Middle East, basically torture and dirty tactics. America wants to play dirty. Alejandro is enlisted to try to start a war between the competing cartels and to do that they kidnap young and spoiled Isabel Reyes (Isabela Moner), the daughter of one of the kingpins in hopes that he will think it is a rival cartel. They bring her to the U.S. but when they try to take her back to Mexico, everything backfires so now they have to smuggle HER back into the U.S. to save her. Unfortunately, I had no idea what was going on most of the time which was disappointing because I loved "Wind River" and "Hell or High Water," both written by Sheridan. Along with my confusion, there were also some strange plot holes and coincidences that bothered me. For example, when Alejandro was trying to get the girl back into the States, I couldn't figure out why they were on foot. What happened to their truck? And how come he just happened to have $1000 on him to pay to get smuggled back into the U.S? Wait, there's more. When they encountered a deaf guy hoping he would help them, Alejandro just happened to know sign language. How conveeeenient. I also really missed Johannsson's soundtrack from the first film. I did not enjoy the soundtrack for this one. It was dreadful. I understand ominous but it wasn't just ominous. It was fingers-on-the-chalk-board annoying. On the other hand, the film, directed by Stefano Sollima, does a good job of showing how we, too - the United States - can get it wrong and bungle things. It doesn't paint a very rosy picture of the U.S.
Del Toro and Brolin deliver what you would expect from them, but I couldn't help but wonder what Brolin would be like as a romantic leading man. It seems like he always plays grim cops or bad guys with no sense of humor. The film is gritty so if you like Del Toro as a badass and Brolin as a tough guy and you like gritty, you might like this better than I did. Rosy the Reviewer says...the first half of the film was all over the place and kind of boring. It picked up in the last half when Del Toro let it rip, but by then, for me, it was too late. A young man steals a laptop and soon learns why that wasn't such a good idea. It soon becomes apparent that the old owner is still very much in control of his computer and will do anything to get it back. Matias also uncovers some disturbing stuff on the computer. You see, the original owner was involved in the Dark Web, a hidden part of the Internet where nefarious dealings take place such as paying someone to drill a hole in someone's head and put icky stuff in there. Ew. Mathis is lured into a website called "The River" and uncovers what our bad guy is up to and when our evil doer demands his computer back and Matias doesn't oblige fast enough his friends start dying. This film plays out completely on the computer screen just as the film "Searching" did. I favorably reviewed "Searching" last month praising what I thought was an original concept. However, it wasn't as original as this franchise. I hadn't seen the first "Unfriended," which came out in 2014 and that one was the first to use that technique - everything playing out completely on the computer screen using video, Facetime and other social medias. And so this one continues that concept, a technique that works very well for the horror genre. This film is spooky as hell. Written and directed by Stephen Susco, the film is low-budget and stars unknown young actors but it's a particularly good thriller. This is one of those films where you don't actually need to see the gore. Your imagination will do just fine. You may ask why a woman of a certain age wanted to watch this film, a film that is definitely not my demographic. Well, ask away. The answer to that is that this woman of a certain age has very eclectic taste, is a pop culture fan and likes the occasional horror film. 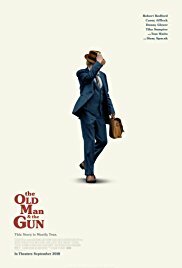 I may be old but I don't limit myself to movies like "Book Club" or "The Old Man & the Gun (see above)," which are aimed at, um, adults. I liked those films but I liked this one too. My only criticism would actually probably be related to the fact I am a woman of a certain age who can't see as well as I used to. 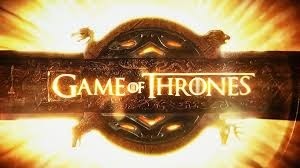 If you watch this film at home, and if your TV is rather far from where you are sitting, you might find it difficult to read the DM's posted on the screen. Yes, I may be a woman of a certain age but I know what a DM is! Rosy the Reviewer says...a good and timely little horror film reminding us that there are bad people doing bad things on the Internet and they live among us. So be careful. Don't steal someone's laptop! An epic biopic of Andrei Rublev, a 15th century Russian iconographer (that's a painter of Orthodox icons and frescoes to you and me). Remember what I said last week about any film that is called "epic?" That means LONG!!! Here's another one. Be warned. It's three and a half hours long! 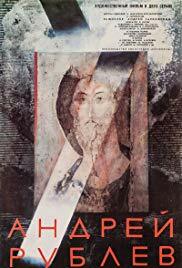 Three and a half hours about a Russian iconographer? Little is known about Rublev (played by Anatoliy Solonitsyn) so this film is loosely based on his life but what we do know is that he was considered to be one of the greatest medieval Russian painters of icons and frescoes and director Andrei Tarkovsky sets out to give him his due. 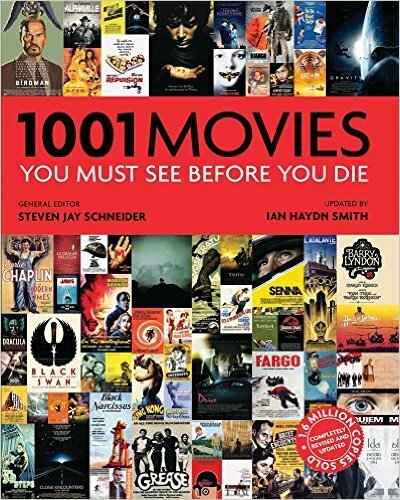 Four of Tarkovsky's films made it onto the list of the "1001 Movies You Must See Before You Die." The reviewers who decided what we should see must like slow, deep and difficult Russian films, I guess. Of his films included, I actually really liked "Stalker." Didn't understand "The Mirror" at all and now this one. Knowing it was three and a half hours long, I admist I was already prejudiced against it and did I watch every minute of it? No. Because Tarkovsky's themes involved religion, artistic freedom and creating art under a repressive regime, the film was banned in what was mostly an atheist and repressive Russia. A censored version was finally released in Russia in 1971 and another shorter version was released worldwide in 1973 so several versions exist. Wouldn't you know, I would have to get the one that is three and a half hours long! This black and white film is beautiful to look at and is awash in color at the end when Rublev's paintings are shown in all of their glory, but I am not a big fan of movies about 15th century Russia especially three and half hours worth. Despite the censorship and limited release, the film is considered by many critics to be one of the greatest films of all time. But not by this critic. And speaking of critics, I have come to the conclusion that some reviewers like movies that no one can understand so they can be pompous blowhards. Why it's a Must See: "...as rich as [this film] might be on the thematic level, Tarkovsky's fresco is not made out of ideas. It is made out of light and darkness, of noise and silence, of human faces and rough material. It is a telluric move and a magical stay, suspended above the void." Rosy the Reviewer says...I rest my case. Nobody likes Tuesdays. Tuesday has no personality. It's not as hated as Monday but on Tuesday you are still looking at three more days of work. So it's no wonder when you get home on a Tuesday night you don't want to cook! But Christopher Kimball to the rescue with this cookbook that divides the recipes into "Fast," "Faster," and "Fastest." The recipes in the "Fast" section are ones that you can get on the table in under 45 minutes. "Faster" recipes are ready in 30-35 minutes and the "Fastest" recipes are ready to eat in less than 30 minutes. "Look at cooking elsewhere in the world and you'll find that flavor is built with ingredients, not time." Christopher Kimball was one of the co-founders of America's Test Kitchen, which produces television and radio shows and publishes magazines, most notably "Cook's Illustrated," which Kimball launched in 1993. 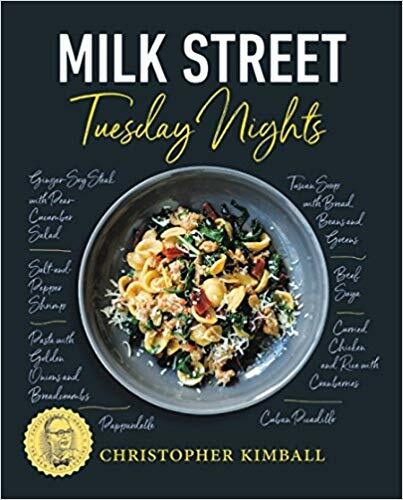 In 2016, he started Christopher Kimball's Milk Street, a cooking school located on Milk Street in Boston. So Kimball shares recipes from around the world, such as Spanish Eggs and Potatoes, Shrimp with Feta Cheese, Sesame Stir fried Pork with Shiitakes, Vietnamese Meatball Lettuce Wraps and Peruvian Quinoa and Corn Chowder. All very yummy, easy and fast! Imagine eating those great dishes on a Tuesday night at home! And it doesn't get much easier than this one! 20 minutes from start to finish! Bring 4 quarts of water to boil. Meanwhile, in a 10-inch skillet over medium, cook the pancetta until crisp, about 5 minutes. Using a slotted spoon, transfer the pancetta to a paper towel-lined plate; reserve 2 T. of the rendered fat. In a large saucepan, whisk 1.5 cups cold water and the cornstarch until smooth. Add the pecorino and stir until evenly moistened. Cook over medium-low heat and cook, whisking constantly, until the cheese melts and the mixture comes to a gentle simmer and thickens, about 5 minutes. Remove from heat, at the reserved pancetta fat and set aside. Add 2 T. salt to boiling water, add pasta and cook until al dente. Reserve 1/2 c. of the cooking water, drain the pasta and return it to the pot. Let it cool for 1 minute. Then pour the pecorino mixture over the pasta, toss until combined and add 2 t. pepper and the pancetta. Let stand 3 minutes tossing several times until the liquid is absorbed. Toss in reserved pasta water if needed. The pasta should be creamy, but not loose. Transfer to a warmed serving bowl and serve with more pecorino and pepper. That's the long version. Here's my version. Cook the pasta and the pancetta, make the sauce and stir it all together. Dinner done! Kimball says not to use grated cheese but rather to grate it yourself but, I say, hey, it's Tuesday. Do what is easiest for you! The cookbook also includes sides, supper salads, pizzas, one pot dishes, roasted and simmered dishes and sweets. Rosy the Reviewer says...my new favorite cookbook!